According to *Constructionreviewonline news report, construction works on Mall of Tembisa estimated to cost US $86m has commenced. This is according to the property developer, McCormick Property Development (MPD). Managing Director of MPD, Jason McCormick said that they are excited to get going on this phase of the project as it takes them one step closer in their goal of delivering top class retail to previously under serviced areas. The project which is being undertaken in conjunction with KIA developments will be a a mixed-use development, including logistics and commercial development with an added high-density residential components. The Mall of Tembisa mall will be 42,889 square meters and is set to be completed in the last quarter of 2020. 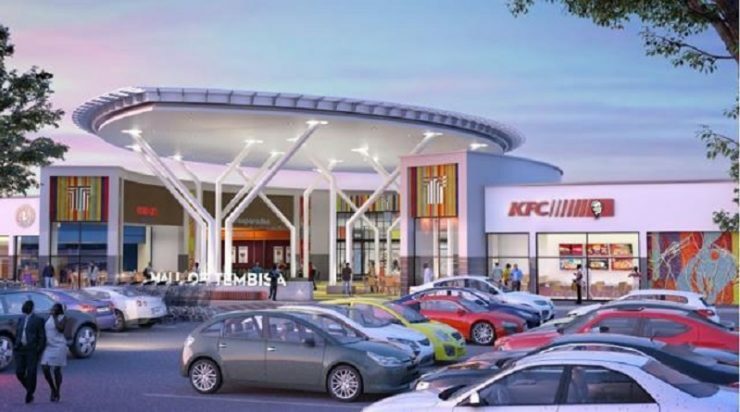 The regional shopping center will be located in the under-serviced north-western quadrant of Tembisa, on the main thoroughfare of Olifantsfontein road. It’s has been designed to take full advantage of its excellent visibility off the main road, without turning its back on the residential suburbs that surround it. The mall is set to bring quality retail facilities to an area which currently has little in the way of shopping amenities and the rights exist to expand the retail portion to 80,000 square meters as demand dictates. Rainwater harvesting and solar photovoltaic panels will be contributing factors in developing the mall to world-class standards since the Mall of Tembisa has been designed to take full advantage of its excellent visibility off the main road, without turning its back on the residential suburbs which surround it.